Major Indian tech shares nosedived on reports that US President Donald Trump as well as the US Congress are proposing changes to the H-1B visa program that allows skilled foreigners to work in the U.S. Though Visa seekers are thronging to the Visa Temple to avert this doom, India’s IT lobby is not relying on a divine interference. Ironically, the proposed change may help India gain more off-shore contracts in the long run. 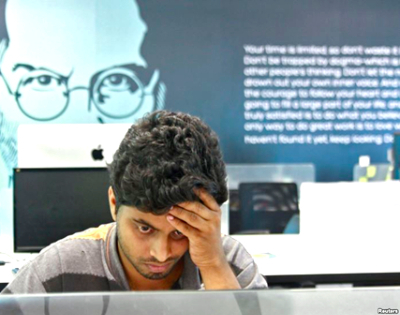 What has set off a panic attack in India's tech industry? 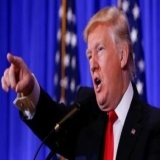 US President Donald Trump is expected to sign a new executive order aimed at strangulating work-visa programs, including the H1B and L1 visas used by Indian IT professionals, as part of a larger immigration reform effort. The executive order drafted by the Trump Administration not only strangulates H-1B and L1 visas, but also increases regulatory requirements and ends employment authorization cards to spouses on such work visas, which was introduced by the previous Obama Administration. As per the leaked draft order, Trump would also reverse Obama's extension of the duration of the optional practical training work visas, which allowed foreign students to stay in the US a bit longer (36 months) after completion of their studies. India’s biggest technology companies lost more than $7 billion in market value in a single hour of trading Tuesday, after news reports emerged of proposals in the US to restrict the availability of skilled worker visas for foreigners. It is not just the President who wants the H-1B rules changed. The High-Skilled Integrity and Fairness Act of 2017, introduced last week in the House of Representatives by California lawmaker Zoe Lofgren, a Democrat, calls for replacing the lottery system with a preference for companies that can pay the highest salaries. It suggests raising the effective minimum wage for an H-1B visa holder to over $130,000, more than double the current $60,000 level established in 1989. Exemptions, though allowed, are rare. This is one issue which has bipartisan support - the Democrats and the Republicans are both in favour of restricting what they think is a liberal visa regime. A lot is at stake for India Inc. The U.S. is worth about $65 billion to India's tech industry. Its business in the U.S., where it provides engineering and other tech services to firms such as IBM, Microsoft and Citibank is highly dependent on the H-1B visa. If implemented, the reforms may force TCS, Infosys and Wipro to make fundamental changes in their business strategies, including hiring more American workers and raising salaries they pay to employees working on client sites in the US — moves that analysts say will erode operating margins by as much as 3 percentage points. Why is Trump considering this move? Indian outsourcing firms are already preparing for potential changes to visa rules, which could present a challenge to the way they work. Also, a draft of Trump's executive order directs the Secretary of Homeland Security to consider ways to "make the process of H-1B allocation more efficient and ensure the beneficiaries of the program are the best and the brightest." That could mean replacing the current lottery system with one that prioritizes visas for jobs promising the highest salaries. India-based companies that staff corporate IT departments file the largest numbers of visa requests, triggering criticism that the visas are used to fill lower-paid, entry-level IT jobs (which Trump and his supporters would prefer to see go to Americans) instead of higher-paying, more senior engineering jobs. Tensions over U.S. worker displacement escalated with the 2015 layoffs at Disney, where IT workers were let go after bringing in an offshore contracting firm that largely relies on H-1B visas. Trump seized on the incident during the campaign and said he was "totally committed to eliminating rampant, widespread H-1B abuse." 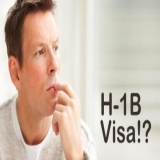 When can one get H1B Visa? 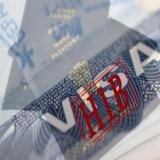 The H1B visa is a non-immigrant visa in the ‘United States under the Immigration and Nationality Act’ that allows US companies to employ foreign workers in specialty occupations that require theoretical or technical expertise in specialized fields such as in architecture, engineering, mathematics, science, and medicine. Growing demand for this visa all around the world, especially in India, has made it all the more difficult to get. Moreover, the company has to pay for the whole visa process and other charges which ultimately make a H1B worker quite expensive. Getting a work visa for the US is no longer a possibility for many while some with special skills may get through with the H1B Visas. The visas have come under attack and criticism for promoting “cheap foreign labor to displace native workers” and some other issues. The current law limits to 65,000, the number of foreign nationals who may be issued a visa or otherwise provided H-1B status each fiscal year. Laws exempt up to 20,000 foreign nationals holding a master's or higher degree from U.S. universities from the cap on H-1B visas. The duration of stay is three years, extendable to six years. Despite a limit on length of stay, no requirement exists that the individual remain for any period in the job the visa was originally issued for. 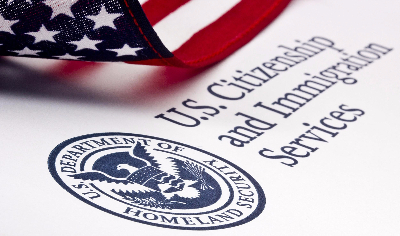 The United States Citizenship and Immigration Services(USCIS) starts accepting applications on the first business day of April for visas that count against the fiscal year starting in October. USCIS publishes a memo when enough cap-subject applications have been received, indicating the closure of cap-subject application season, the associated random selection process is often referred to as the H-1B lottery. Where could this move actually benefit India? A proposed new law that will effectively cut down the number of H-1B visa entrants into the US could actually turn out to be a blessing in disguise for India, as per a few technology industry veteran told. Ashok Soota, former president of Wipro, said that more work will now move offshore as US is set to face a talent crunch in these specialized sectors. “The effect will be two-fold: We will bring more of the work offshore, which is a long-term advantage for the Indian IT industry. Besides, it will drive Indian companies up in the value chain, because the kind of people who we send will be premium people, people who are consultants and highly experienced and skilled,” he said. Soota points out there are an estimated one million jobs vacant in the US in the IT sector that American companies have not been able to fill. “They need the skills, they need us. The net impact will drive up costs within the US, as they have a talent crunch,” says Soota. The potential effect of the H1B clampdown on business could probably lead to US firms weighing in on their government to not go ahead with the proposal. Also, the Indian IT companies may look to rework their economics around these challenges – look at ways and means to bring down the on-site work and even move to other geographies. 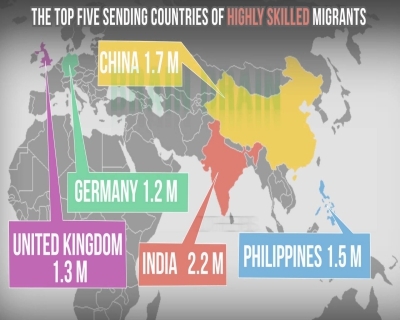 A section of patriotic Indians on the internet is in fact welcoming the move, using the logic that the reduction in visas will stem the ‘brain drain’ and keep India’s IT talent within the country. Who will be hit most severely? Silicon Valley companies, long dependent on foreign workers to fuel tech growth, are bracing for changes to immigration policy that could impact a vast workforce. About two-thirds of the workers in computer and mathematical professions were born outside the U.S., according to the Silicon Valley Institute for Regional Studies. Often H1-B workers bring their families along and thereby bring additional business for other industries like real estate, Banking, hospitality, to name a few. The effects of this announcement will impact the GDP and the overall business economy and growth of US. While 20 percent of H1-B visa quotas have been set aside for start-ups and small employers with 50 or fewer employees, there is no denying that this will be a dampener to the spirit of innovation and entrepreneurship. The H-1B visa program tends to be more critical to outsourcing firms. More than 60 percent of the U.S. employees of Indian outsourcing firm Infosys are H-1B holders, and the company in its annual report has cited an increase in visa costs as among factors that could hurt its profitability. 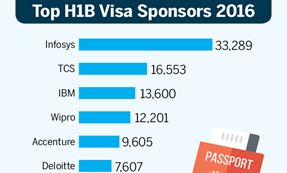 The top 10 recipients of H-1B visas in 2015 were all outsourcing firms, according to government data compiled by the IEEE-USA, a professional organization representing U.S. engineers. 65 percent of H-1B petitions approved in the 2014 fiscal year went to tech workers, mostly from India. While changes were expected under the new President, the suddenness and the order of the announcement has surely caught IT Services Providers across the globe by surprise. Most US-based Fortune 500 organisations are deeply invested and dependent on IT services providers using H1-B visas to source skills. 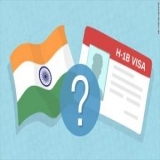 Changes in the H1-B visa arrangement will add immense cost pressures on these organizations. Hence, neither they nor the Trump administration are in a position to make any drastic changes right away. While onshore and near shore contracts will see a surge, transition cannot be managed overnight and will give rise to the coopetition economy. Note: Coopetition is collaboration between business competitors, in the hope of mutually beneficial results. How has India reacted to this? As India and the IT sector take stock of the proposed Bill in the US House of Representatives that seeks to reform H1B visa rules, mixed reactions have come in from business leaders in the country. While some chose to tread cautiously and were on the ‘wait and watch’ mode, others described the proposed legislation as a grave mistake for the United States. Some believed this change could turn into a major catastrophe for Indian companies and workers, as it would make it financially unviable for Indian workers to be hired in the US. Soon after the potential legislation made the news, social media was flooded with a flurry of reactions. Most of them criticized the move, calling it the end of the ‘American dream’ for Indians. A joke circulated on Whatsapp celebrating that Trump is taking revenge on behalf of all the local Romeos who lost their girls to the India doctors and engineers settled in the United States. Some however, were more optimistic and said that this was an opportunity to bring back Indians to develop indigenous IT industry. The Bill does have a bright spot for those planning to study in the US, since it aims to build a bridge between the F-1 student status and permanent residence. Meanwhile, the Ministry of External Affairs said they have taken up the matter at high levels. “India’s interests and concerns have been conveyed both to the US administration and US Congress at senior levels,” Vikas Swarup, spokesperson of the Ministry of External Affairs told media persons. 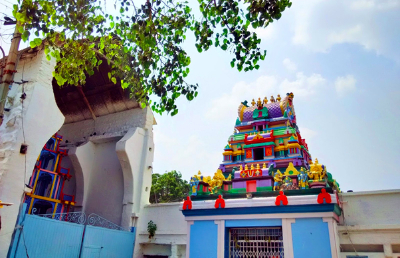 The Chilkur Balaji Temple, also popularly known among the devotees as Visa Balaji Temple, is seeing increased footfall. It is located 30 km away from Hyderabad. Interestingly, the temple doesn't accept money or donations from the devotees nor does it have an entry fee. The rule is simple - take 11 laps while making the wish…and take 108 when then wish is fulfilled. Since it does not have an entry fee, there is no question of hiking the fee to visit the god who helps get the Visa. 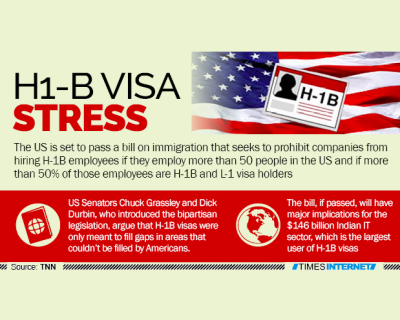 How does H1 B visa affect startups in america?